What’s good? It’s probably my age, but unless it’s tropical outside I can’t ride without something to keep my neck warm. For the past three years I’ve been wearing my trusty Cold Killers Mini Tube (£19.99), which has been brilliant, but after thousands of miles of filling it with slobber I thought it time to try something new. 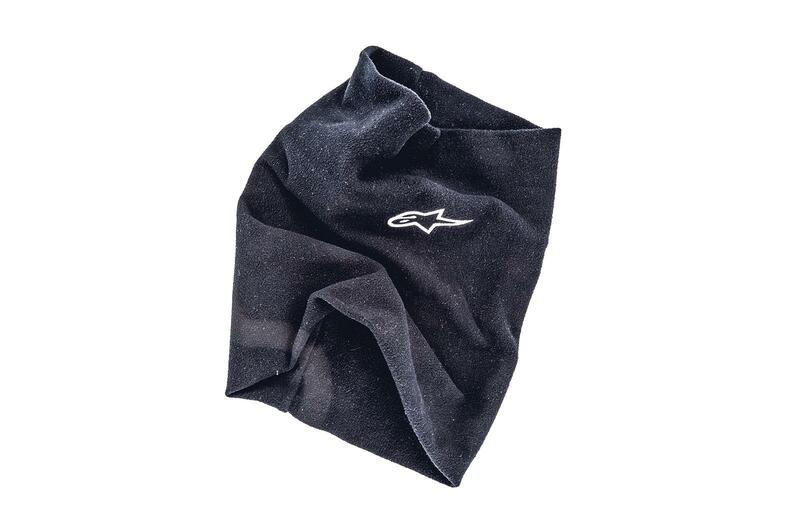 This Alpinestars tube is made of a fleece, rather than the thinner wind-cheating material that forms the Cold Killer, but it’s thick enough to keep out the chilly wind, and once on is lovely and warm. It’s long and well-fitted, so there’s no chance of any drafts getting up and under it, but not so bulky that it’s hard to wear under lots of layers or under your lid’s chin strap. Day 2: MCN Great Christmas Giveaway! What’s not? It’s a bit too warm for summer and track riding, so I either dig out my Cold Killer or lightweight EDZ neck tube (£9.99).